To celebrate the eighth and final season of the critically-acclaimed TV series, Game of Thrones, Diageo and HBO tell BourbonBlog.com they have released a limited-edition collection of Single Malt Scotch Whiskies. 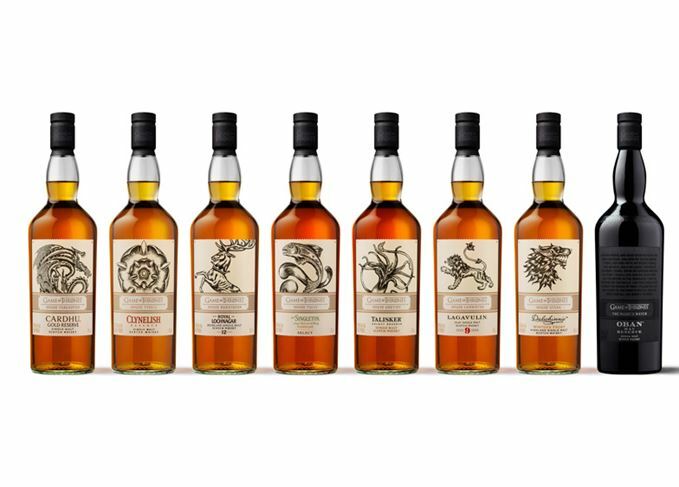 The collection features eight scotch whiskies, each paired with one of the iconic Houses of Westeros, as well as the Night’s Watch, giving fans an authentic taste of the Seven Kingdoms and beyond. Diageo’s says this diverse range of distilleries in Scotland, much like in Westeros, each has their own unique characteristics and produce a distinctive whisky representative of its local terroir. These similarities were the inspiration behind the collection, drawing an authentic storyline between each House and single malt pairing. The Game of Thrones Single Malt Scotch Whisky Collection joins White Walker by Johnnie Walker another limited-edition whisky in celebration of the hit TV series. Unveiled in October, White Walker by Johnnie Walker is inspired by the most enigmatic and feared characters on Game of Thrones – the White Walkers.